and I am having a hard time focusing on my writing. I sit down to work and I think of him curled up? sprawled out? Sleeping? hiding in there somewhere. I know he is there because last night when my husband was taking out the garbage, he yelled, OH MY GOD THERE'S A POSSUM THE SIZE OF OUR DOG IN HERE! Today is the coldest day of the year. Minus 3 degrees as I write this, with a wind chill of minus 24. I hardly blame the possum for sneaking in. But back to my writing. I write a sentence. I delete it. I write another. I sneak downstairs to look through the window into the garage. I don't know if I want to see the possum of if I don't want to see the possum. I go back upstairs to my office. I move a paragraph from one section of the chapter to another. I move it back. 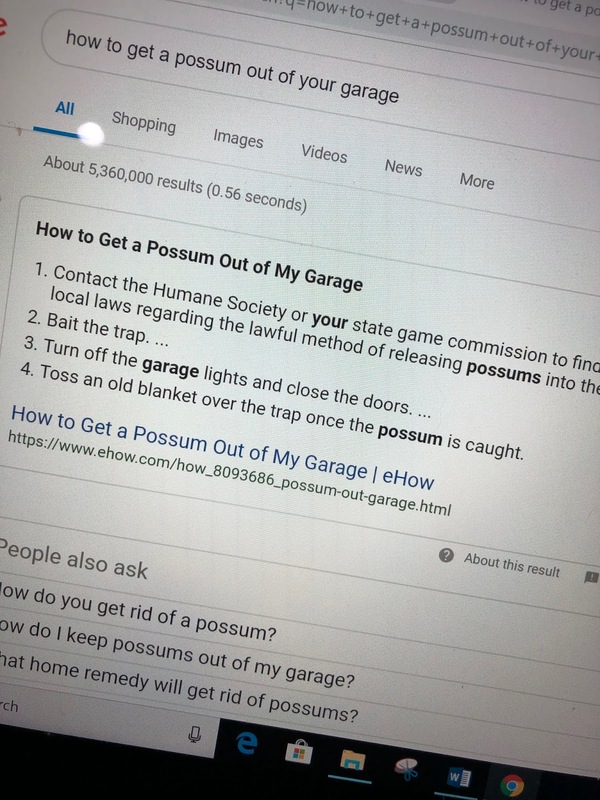 I google possums. Thankfully, they are not known to be dangerous or destructive animals. Unless they are cornered. I go back into my book and remember something I wrote in an earlier chapter. I get stuck in that chapter for a while. Writing sentences and deleting them. Moving paragraphs around. 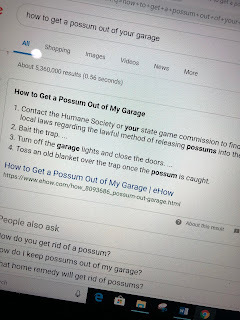 I google how to get a possum out of the garage. I write a sentence. Meanwhile three hours have gone by and I have made no real forward movement in the book itself. "It is a silver morning like any other. I am at my desk. Then the phone rings, or someone raps at the door. I am deep in the machinery of my wits. Reluctantly I rise, I answer the phone or I open the door. And the thought which I had in hand, or almost in hand, is gone. Creative work needs solitude. It needs concentration, without interruptions. It needs the whole sky to fly in, and no eye watching until it comes to that certainty which it aspires to, but does not necessarily have at once. Privacy, then. 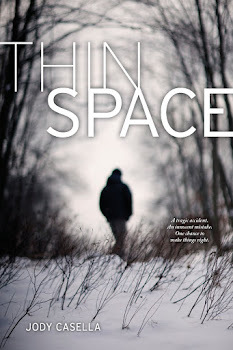 A place apart — to pace, to chew pencils, to scribble and erase and scribble again. But just as often, if not more often, the interruption comes not from another but from the self itself, or some other self within the self, that whistles and pounds upon the door panels and tosses itself, splashing, into the pond of meditation. And what does it have to say? That you must phone the dentist, that you are out of mustard, that your uncle Stanley’s birthday is two weeks hence. You react, of course. Then you return to your work, only to find that the imps of idea have fled back into the mist." But Mary Oliver did not have a possum the size of a dog hiding in her garage.